Hi, I'm Kayla. I'm a singer originally from Connemara. My grandad was also a singer from the Claddagh. I have spent a few years away studying music and now I travel all over the country as a singer - Although nowhere so far is as nice as the city of the tribes. Well, joining Big Tom in Derry for Opry Dhoire on TG4 does come close enough! We are so blessed to have such friendly people and the best craic! Christmas in Galway is pure magic and it's my favourite time of year to be at home. I love singing at the Christmas market every year and it's a great time for family and friends to get together and enjoy the magical atmosphere the city has to offer. 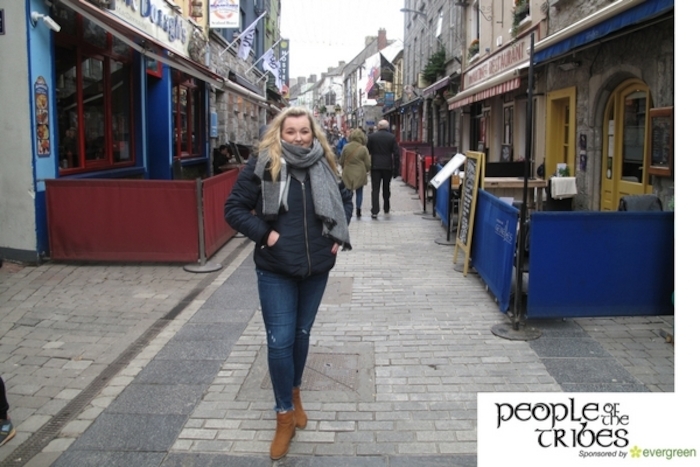 Whether its pints and a sing-song down in Monroes or a stroll through Quay street -There really is no place like home!